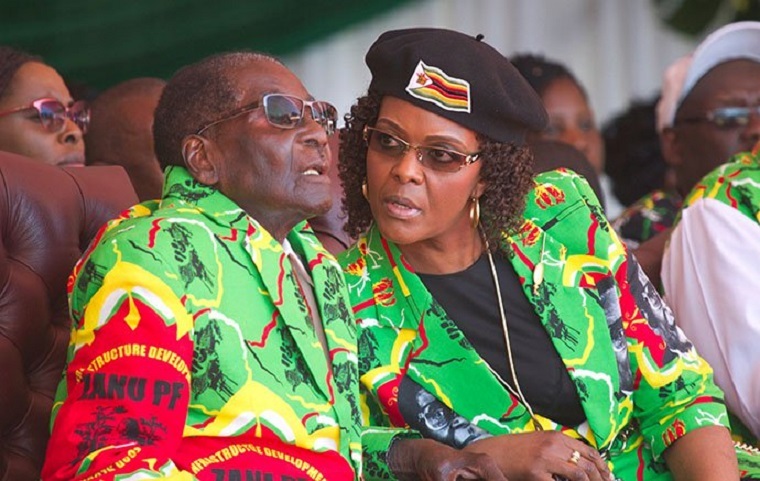 First Lady Grace Mugabe was into politics way before she entered the public arena in 2014 as the Zimbabwe African National Union-Patriotic Front Secretary for Women’s Affairs. Exiled Zimbabwean businessman Strive Masiyiwa told United States embassy officials in July 2008 that Grace gave her node to the transitional arrangement that Masiyiwa had crafted which would have seen the country adopting the 1980 constitution under which Robert Mugabe would become ceremonial president while Morgan Tsvangirai would become executive Prime Minister. Zimbabwe’s richest man crafted the agreement after the country reached a stalemate following the disputed elections which were won by Tsvangirai in March but had to be re-run because he had not won an outright victory. Tsvangirai pulled out of the re-run resulting in Mugabe wining virtually unopposed though Tsvangirai’s name remained on the ballot but the World including the African Union and the Southern African Development Community did not wholly accept the victory forcing Mugabe to negotiate with the opposition for a government of national unity. Masiyiwa said Tsvangirai had accepted the agreement and an emissary that had delivered the document to Mugabe through then Central Bank governor Gideon Gono said Mugabe and his wife had also accepted it. Mugabe and Grace, however, wanted several amendments including that Mugabe would be allowed to serve as President “indefinitely and would not have to retire at a certain time”. Masiyiwa was described at the time as an unofficial advisor to the Movement for Democratic Change. It was not clear how he had come up with the proposed agreement, but Masiyiwa and other Zimbabwean businessmen based in South Africa had been trying to ease Mugabe out for some time to pave way for Zimbabwe’s economic recovery. Masiyiwa said Gono had impressed on Mugabe that Zimbabwe’s economy was almost beyond repair and something had to be done. Zimbabwe had its highest inflation ever in 2008 which was officially put at 500 million percent but an American economist put it at 89.7 sextillion percent (89 plus 21 zeros). Masiyiwa said Mugabe had also been stung by African criticism and could no longer claim it was only the West that was opposed to him.